Highlighting PDF files is one of the most commonly used markup functions. Highlighting helps you find the key points in long articles much more easily, which can save a lot of time while studying or reviewing business documents. 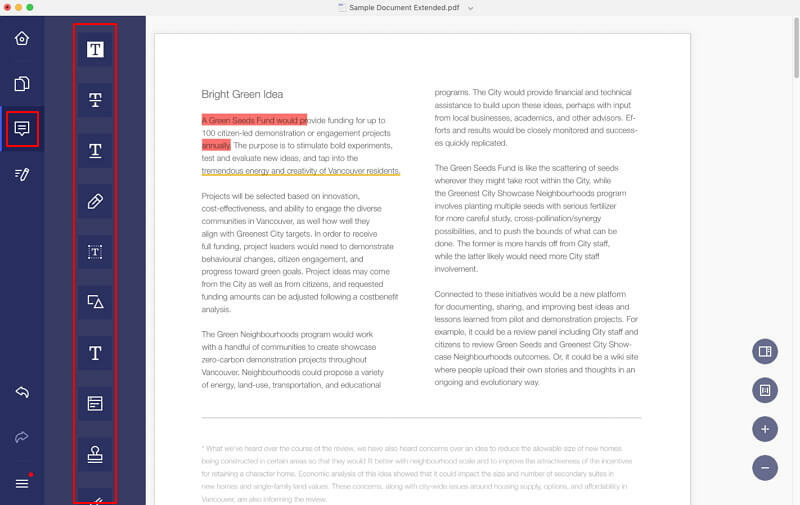 For Mac users, Apple's built-in application, Preview, can help you highlight PDF files easily in Mac. But if you also need to edit or annotate PDF files using more advanced features than Preview, you can use PDFelement Express for Mac, an excellent PDF editor which gives you the ability to edit, annotate, and mark up (highlighting included) PDF files easily, all within one program. Here is a quick guide showing you how to highlight PDF on macOS X (including High Sierra and Mojave). PDFelement Express for Mac is a multi-functional PDF software that lets you make modifications to PDF text just like you would in a Word doc, as well as organize PDF pages by inserting, extracting, or deleting them. Annotate PDF with various markup tools and shapes. Compatible with macOS X 10.14 Mojave and 10.13. Downloaded PDFelement Expreses for Mac. PDFelement Express for Mac does not have a complex installation wizard. The program will be installed in seconds with just a few clicks. After downloading and installing PDFelement Express for Mac, launch the program. Click on the "Open File" button on the Home window. 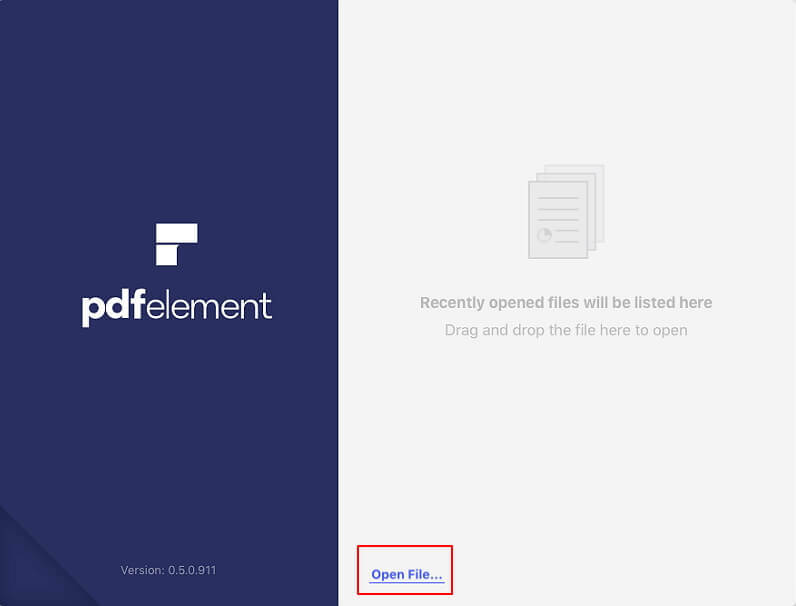 Select the PDF file to upload and click on "Open". Alternatively, you can drag and drop your files into PDFelement Express to open them. Click the "Comment" button on the left toolbar to expand the submenu. Then select the "Highlight" icon and select any text you want to markup in the PDF document. You can choose any highlight color you want, and then draw on the text to highlight it with that color.